The Ordning is broken. Giants run amok. And our heroes, standing in the frozen wasteland of the Savage Frontier, have to make a decision. Stand with the giants or stand against them. 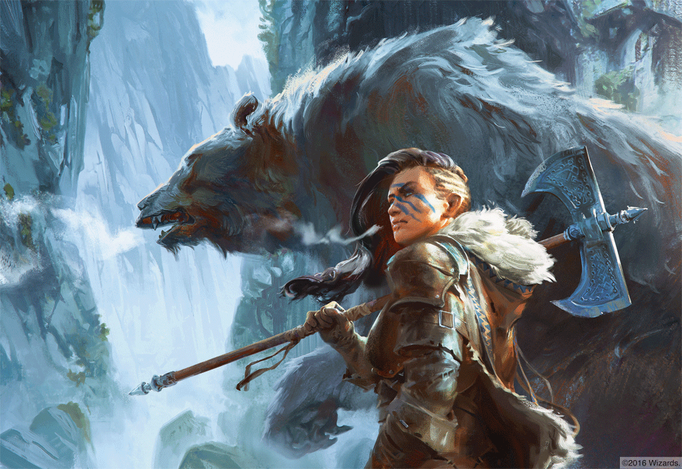 That’s the most basic premise behind Dungeons & Dragons’ latest adventure book, Storm King’s Thunder, which you can buy now. It’s a high-stakes adventure full of battles with giants of all stripes, invasions of giant strongholds, exploration of the Forgotten Realms, traveling on airships and (potentially) battles with a kraken and an ancient blue dragon. This is why we play D&D, right? To understand what’s happening in the 256-page hardcover, you need to understand the Ordning. The Ordning is the caste system that determines the standing of each giant and his race (storm giants at the top and hill giants at the bottom), but after being challenged by small folk and dragons (referencing to the first two 5th edition adventure books), it has been shattered by giant god Annam the All-Father. And now the giants are competing to be at the top. Incursions into the world of the small folk (humans, hobbits, dwarves, elves and the like) by the giants has caused mass chaos not to mention interference in the giant world by human groups (the Lord’s Alliance and the Kraken Society) and the dragons who hate giant kind. Running from levels 1 to 11, Storm King’s Thunder starts with the adventurers helping out in a village recently attacked by cloud giants before they go to protect a larger city from the giants, explore the Savage Frontier, plunder giant burial mounds, head to take on the giant races and eventually raid Maelstrom, the stronghold of the storm giants. Eventually, they can forge an alliance with giants against the dragons, and the results of the adventure determine the fate of the Ordning. There is a handy flowchart to guide you through the adventure (more on that later), but this is very much a sandbox adventure. There’s no rush to get things done before a certain event spells doom for everyone. If the players want to take down each and every giant lair, they absolutely can. If they want to explore the Savage Frontier for 25 game sessions, they’re welcome to. But that sandbox style also means adventurers can run into extremely powerful creatures and absolutely get destroyed (or, as the book suggests, taken captive by the giants who defeat them). Players have to be smart and not pick fights with enormously fat hill giants or run when the gargantuan elemental gets lose. 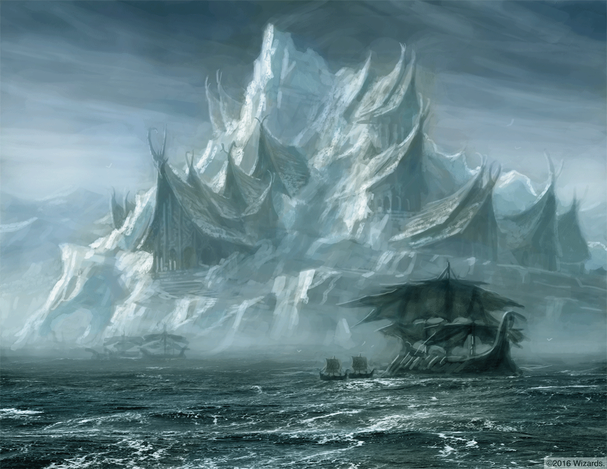 The story starts here: Hekaton, king of the storm giants, has been kidnapped. His elder daughters are responsible, his youngest daughter has assumed his throne, and an ancient blue dragon has taken the form of a storm giant to sew discord in Hekaton’s court. The ordning is shattered. The other giants lords head out into the world to secure their places in a new ordning. Chapter two takes the adventure to one of three cities, Bryn Shander, Goldenfields or Triboar. Each player takes control of their character as well as an NPC in the city, and they must work to defend it. Each town has quests and villagers and things to do in town, but they’ll eventually come under attack by giants and their entourages. These city-scale attacks will make for some really fun and epic encounters. Everything that happened before will lead adventurers to explore elsewhere in the Savage Frontier, which is detailed in nearly 60 pages of locations, maps, encounters and quests. There’s a ton to explore, and PCs can spend a whole lot of time wandering around or accomplishing quests given to them in chapter two. 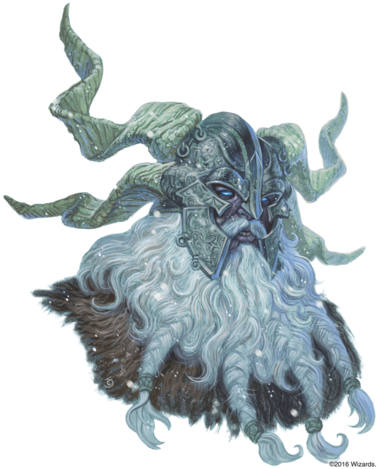 Eventually, they’ll meet Harshnag the frost giant, who will take them to see an oracle. Then they’ll take an airship to any one of the remaining giant lairs, each described in its own chapter. Each has its own sprawling map and a roster of monsters awaiting the PCs inside their strongholds. My personal favorite is the forge of the fire giants, but my second favorite is Maelstrom, the hold of the storm giants. That’s chapter 10, where the daughters of Hekaton (the kidnapped storm giant king) have hidden out. It’s a giant, three-level, watery dungeon full of hulking crabs, giant sharks and, well, more giants. If Hekaton is saved, they’ll forge an alliance with the storm giants and go find that pesky ancient blue dragon with several storm giants at their side. The final few battles of this adventure will be epic because they all involve higher-level PCs, angry giants and some pretty badass allies. The art in the book is gorgeous and its pages are full of the sort of painted fantasy scenes for which D&D is known. This time around, most pieces depict giants battling while tiny small folk run away. My favorite depicts a few PCs standing next to a felled, decapitated giant. Many of those art pieces span two-page spreads, which lends a grandiosity to the artwork perfect for a book about giants. Considering Storm King’s Thunder takes place over a large swath of Faerun, it’s also nice to see such a huge amount of maps. There are town maps, battle maps and a great two-page map of the Savage Frontier. One of my favorite parts of this adventure book is its helpful guides, charts and lists for DMs. A two-page “dramatis personae” page lists all major NPCs, their descriptions and what portions of the adventure in which they’ll be found. There’s also an adventure flowchart, which shows more or less how things are meant to progress and what levels they cover. It’s super helpful whether you’re looking to help guide players or if you’re decided at which level your players should enter the game. That also means you don’t have to run this adventure in its entirety. Want to throw a raid into your homebrew campaign? Have your players raid the forge of the fire giants (level 8) or defend a town being attacked by giants (level 5). One appendix even gives options on how to string this together with other 5e adventures and it spells out easy jumping on and off points for several previously published books. These are all things previous adventures have lacked. I’m currently DMing Curse of Strahd, and it took me poring over the entire book to figure out a loose structure regarding how things should progress (though for the record, I’m totally fine with my players taking things off course). In all, this is an excellent adventure book. It’s full of epic battles, interesting NPCs and tons of fantastical locations to explore. Whenever I get the opportunity, I’ll definitely run Storm King’s Thunder. 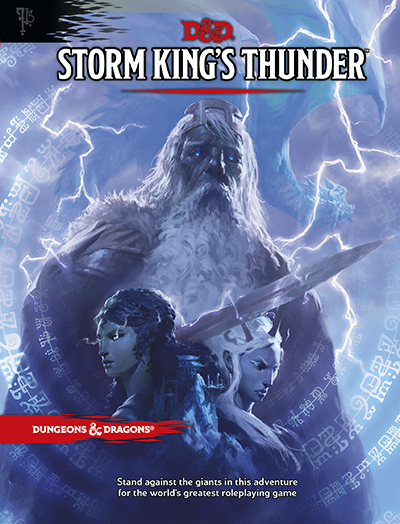 What do you think of Storm King’s Thunder? Let’s talk in the comments.